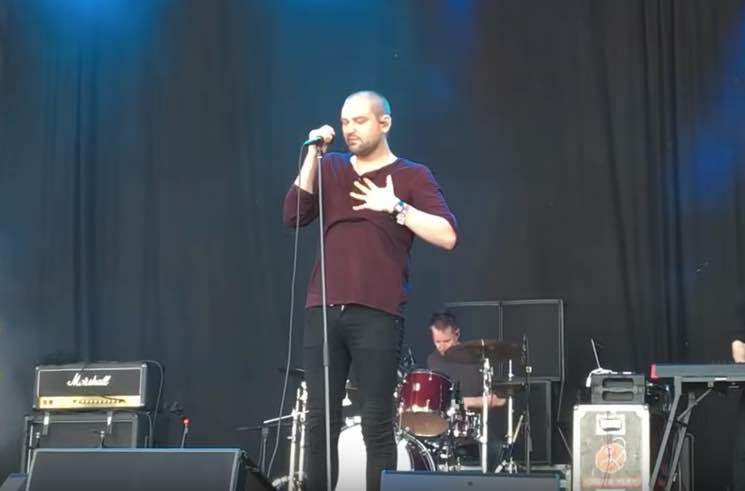 The Twilight Sad paid homage to late Frightened Rabbit frontman Scott Hutchison at the Primavera Sound festival in Barcelona yesterday (May 31). To close out their set, the Nobody Wants to Be Here and Nobody Wants to Leave band covered Frightened Rabbit's "Keep Yourself Warm" from The Midnight Organ Fight. Prior to the performance, the Twilight Sad's James Graham tweeted that he wanted "to do my friend proud." Hutchison's brother and bandmate Grant thinks that the Twilight Sad did just that, taking to Twitter to express his love for his fellow musicians and friends. Watch the Twilight Sad's performance of "Keep Yourself Warm" at Primavera below. As previously reported, Hutchison was found dead last month, days after being reported missing in Edinburgh. He was 36.